Collaborative robots are now trending in the manufacturing space. Hannover Messe will welcome leading cobot players from across the globe to showcase their innovative technologies at this mega platform. Mitra, a 5 foot tall robot manufactured by India welcomed Ivanka Trump and Prime Minister Narendra Modi at the 2017 Global Entrepreneurship Summit. This is just the beginning of collaborative robots more popularly known as cobots. Cobots are used for high precision tasks which are usually repetitive in nature. The smart collaborative robots are flexible, user-friendly, smaller in size and lighter in weight as compared to industrial robots. According to one of the leading market research resource, Research and Markets, the global cobots market is projected to grow to 3,811.483 million dollars by 2021. 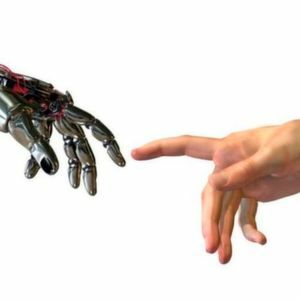 The rise of cobots in the fourth industrial revolution (Industry 4.0) can be witnessed right now. For instance, one of the world’s leading research and innovation hub in nano-electronics and digital technologies, Imec along with universities – Vrije Universiteit Brussel (VUB), University of Hasselt and five industry partners came together and developed a collaborative robot called ‘Walt’. The cobot works closely with its human co-partners to carry out work on the shop floor in an efficient way. Walt is already making heads turn at Audi Brussels’ production facility. The Nissan Motor Company makes use of Universal Robots’ UR10 robot arms at its Yokohama factory in Japan to enhance and automate its production lines. The collaborative robotic arms reduced production time and improved product quality of the Japanese multinational automobile manufacturer. 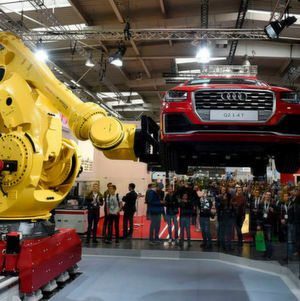 Similarly, other automobile giants including Toyota Motor Corporation, BMW, Volkswagen, Ford and many others have also integrated cobots into their production processes. 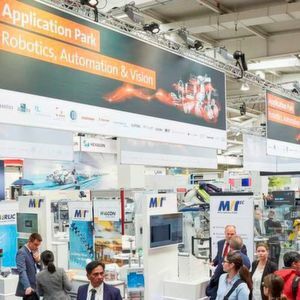 To explore this growing trend further, one of the mega industrial technology trade shows, Hannover Messe will be showcasing the latest technologies in cobots along with live demonstrations all under one roof. The fair also conducts a ‘Robotics Award’ to encourage innovations in the field of industrial automation. Scheduled to be hosted at the Hannover Fairgrounds in Germany, the show will be conducted from April 23–27, 2018. Come and witness the rise of the machines here!